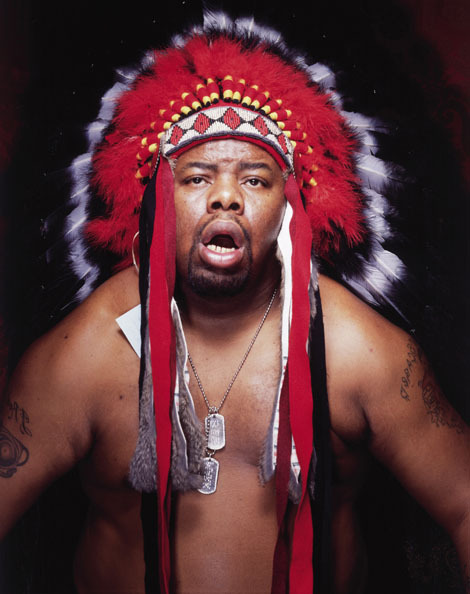 Biz Markie, an American singer, song writer, comedian, rapper and actor was born as Marcel Theo Hall on 8 April 1964, in Egg Harbor, New Jersey USA. He has been named as the clown prince of hip hop. His single “Just a Friend” released in 1989 was a very big hit and climbed into the top 10 in American charts, and has also been listed in the top 100 greatest one hit wonders of all time. His versatile talent as a rapper, comedian, singer and actor is the reason for his successful career and his net worth. A famous singer, rapper, comedian and actor, how rich is Biz Markie? Sources estimate that the net worth of Biz Markie is $2.5 million dollars, mostly accumulated from his album sales, comedy shows and appearances in films and on television during a career spanning almost 35 years. Biz Markie attended Longwood High School, and started his career in Long Island, New York by interviewing for the documentary “Big Fun in The Big Town”. In 1988 Biz Markie released his debut album entitled “Goin’ Off”, with the song “Make The Music With Your Mouth, Biz” being a hit and attracted a lot of sales and boosted his fan following. In 1989 Warner Bros. and Cold Chillin released his second album named “The Biz never Sleeps”; in this album Markie switched between singing and rapping in the song “Just a Friend” which became the most successful song of his career as it reached 9th position on Billboard and was ranked 81 as 100 greatest one hit wonders by VH1. In 1991 Marie released his third studio album named “I Need a Haircut”, but the album was selling poorly when it was hit by a lawsuit by Gilbert O’Sullivan, who stated that one of the songs of the album named “Alone Again” used samples from his original song “Alone Again, Naturally”. Warner Bros. lost the suit and the album was pulled out of the stores, and Biz’s career went downhill from there because of the negative publicity the lawsuit caused, and on top of that, one of his music videos “Toilet Stool Rap” was labeled as the worst video of the year by the Fromage show. His net worth also suffered during this period. After these incidents he tried his hand in an acting career, making many guest appearances on various television shows like “In Living Color”, and was also seen in a freestyle rap commercial produced by MTV. He featured in songs of other popular artists like Beastie Boys, Wu-Tang clan and Rolling Stones, and his most popular acting work includes his appearance in “Men in Black 2” where he portrayed a character of an alien in a parody of himself, whose native language was beat boxing. All his studio albums, television and film appearances and featuring on the famous songs are the reason for his net worth. He is still active in the entertainment industry as a TV personality, actor and guest artist for various music groups, and tours with various other artists. 1 His debut album "Goin' Off" came out in 1988. 2 Is a close friend of the Beastie Boys and made guest appearances on their albums "Check Your Head" (1992), "Ill Communication" (1994) and "Hello Nasty" (1998) as well as their double compilation album "The Sounds of Science" (1999). 3 Made a guest appearance on The Rolling Stones 1997 hit "Anybody Seen My Baby? ", which appears on their "Bridges to Babylon" album, which was released in that same year. 4 Has not released an album since 2003's "Weekend Warrior". 6 Known for his song "Just a friend"
Fastlane 2002 TV Series D.J. Lyricist Lounge: Hip Hop Video Classics 2003 Video performer: "Just a Friend"
Tony Hawk's Pro Skater 4 2002 Video Game performer: "Body Rock"
Daria in 'Is It Fall Yet?' 2000 TV Movie performer: "You've Got What I Need"
The Wood 1999 performer: "Make the Music with your Mouth Biz" / writer: "Make the Music with your Mouth Biz"
Office Space 1999 performer: "Shove This Jay-Oh-Bee"
Free Tibet 1998 Documentary courtesy: "Go Biz Mark" / performer: "Go Biz Mark"
Space Jam 1996 performer: "That's The Way I Like It"
Phat Beach 1996 performer: "I'm Hungry" / writer: "I'm Hungry"
The Great White Hype 1996 performer: "I've Got You Under My Skin"
Saints Row IV 2013 Video Game performer: "Just a Friend" / writer: "Just a Friend"
Celeste & Jesse Forever 2012 writer: "Just a Friend"
The Wackness 2008 performer: "Just a Friend" / writer: "Just a Friend"
Grand Theft Auto: San Andreas 2004 Video Game performer: "The Vapors" / writer: "The Vapors"